Below you will find listings of currently available properties. Each listing has a details page for extra information that you can access. 5,625 square feet of highly improved Class "A" office/warehouse space in the Iron Gate Industral area in the Midway Business Center just South of Bakerview Road and East of the I-5 freeway. The fully air-conditioned Front Office area of 1,875 sqft has 8 Offices, 2 Conference Rooms, beautiful built-in Oak cabinetry, a Kitchen/break area, 3 restrooms, and 1,875 sqft of warehouse area with 2 additional offices. The 1,875 sqft mezzanine is structurally built for additional offices (this area is NOT included in the total of 5,625 sqft of leasable space) There are three 12 x 14 truck doors, three 200 Amp 3-Phase 4-Wire power panels. This is an end-cap space! Contact Steve Moore at (360) 201-8999 for appointment. 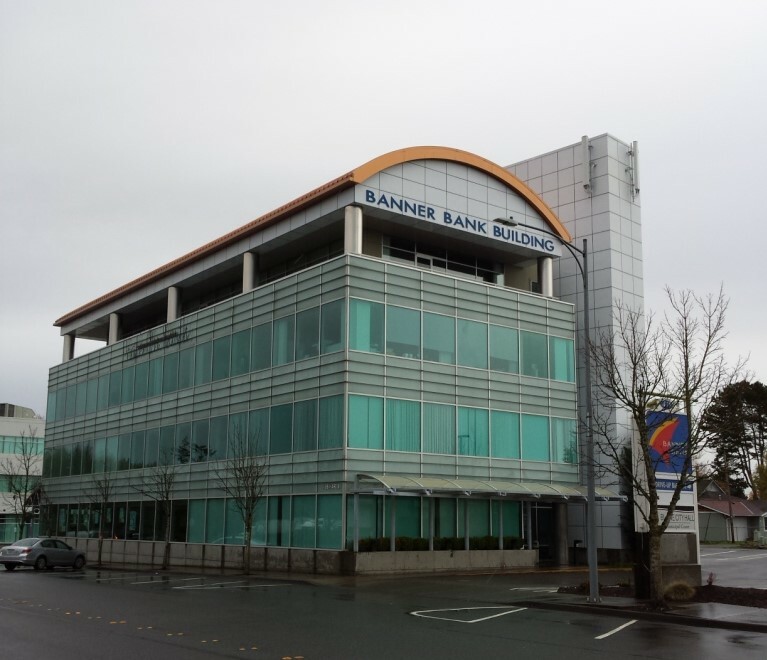 The Banner Bank Building is the most modern Steel and Glass building in Blaine! The available offices are on the 2nd floor with Windows in every office! Master Rentals is a 25 year old well known party rental company that has a Large Customer data base, which includes many Corporate Accounts. The dominant market position of this company in the wedding and party rentals can easily be expanded to include other product areas. The company is a community icon known for their great selection of beautiful immaculately maintained rental items and attention to detail for each of their many customers. This outstanding Business Opportunity is only $124,346 plus Inventory. Training for the new Owner is included. 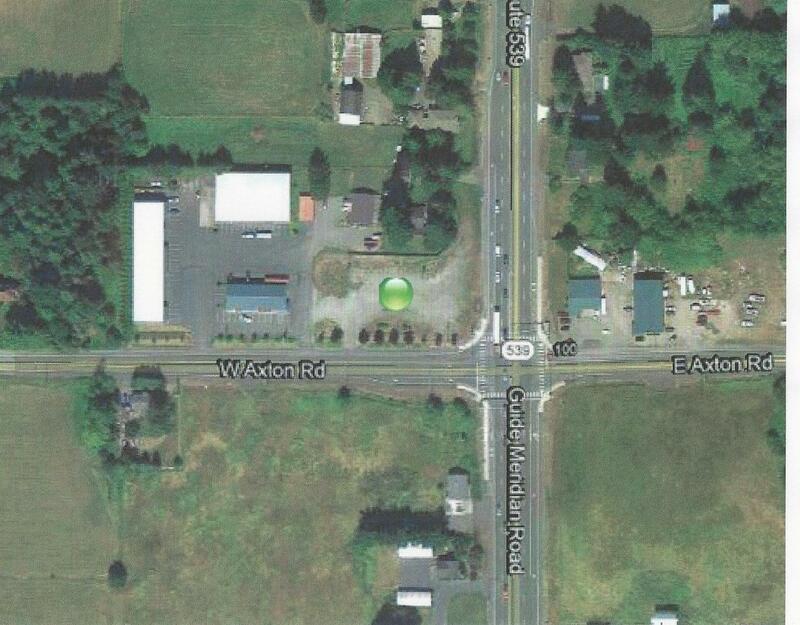 Commercial-Industrial land for Ground Lease with tremendous visibility at the corner of Guide Meridian and Axton Road. • Three minutes from Bellingham International Airport, which has direct flights on Alaska/Horizon, Allegiant and Frontier Airlines to Seattle, Hawaii, Denver, Arizona. • A short drive (7 – 12 miles) from three Refineries; Arco-BP, Conoco-Phillips and Alcoa-Intalco Aluminum Works. County, it is extremely beneficial to have a site that can be accessed regardless of either the weather conditions, or more importantly, the road conditions. Today’s businesses, and their trucks, simply demand the physical structure that an all-weather road provides. everything from FiberOptic cable, OCR-Frame Relay, T-1, Wireless, etc., to the most complex and integrated telecommunications systems available. All of our wiring is CAT-5e structured cabling which is very important for the ever changing IT environment! Our systems are designed to allow us to continue to upgrade, well into the 21st Century. 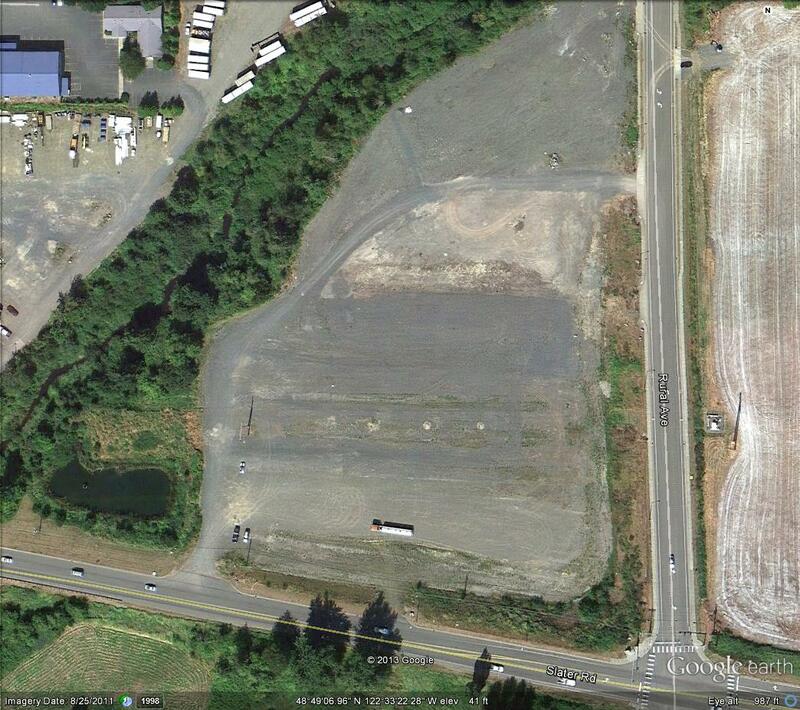 over 260,000 square feet of Warehouse/Office/Retail space. We can accommodate all of our clients space needs including Build-to-Suit and/or Parcels for purchase. When you are ready to expand, we’ll have the space! Because we have a Specific Binding Site Plan, we can build virtually any size building you might require.